Nestled in Eat At Seven, Udon Kamon – the specialty udon house, one can enjoy freshly made udon in unique soup bases! 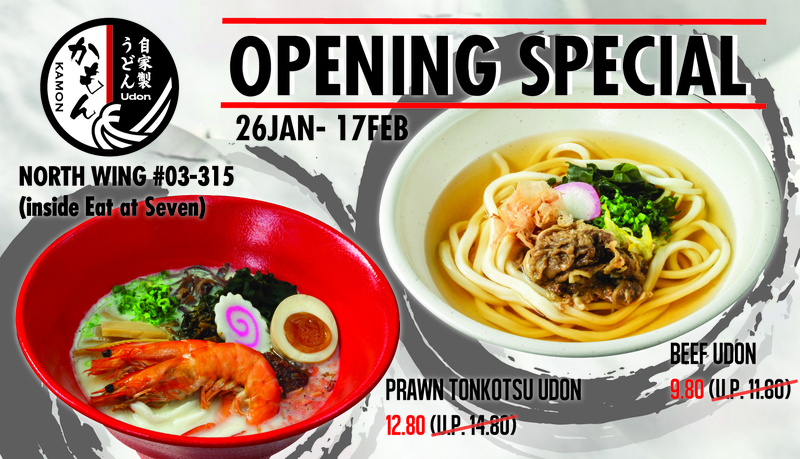 Try the signature Prawn Tonkotsu Udon & Beef Udon at a special discount for the limited period only! Valid till 17 Feb 2019. Eat at Seven - Kamon Udon is located at Sky Garden, #03-315.